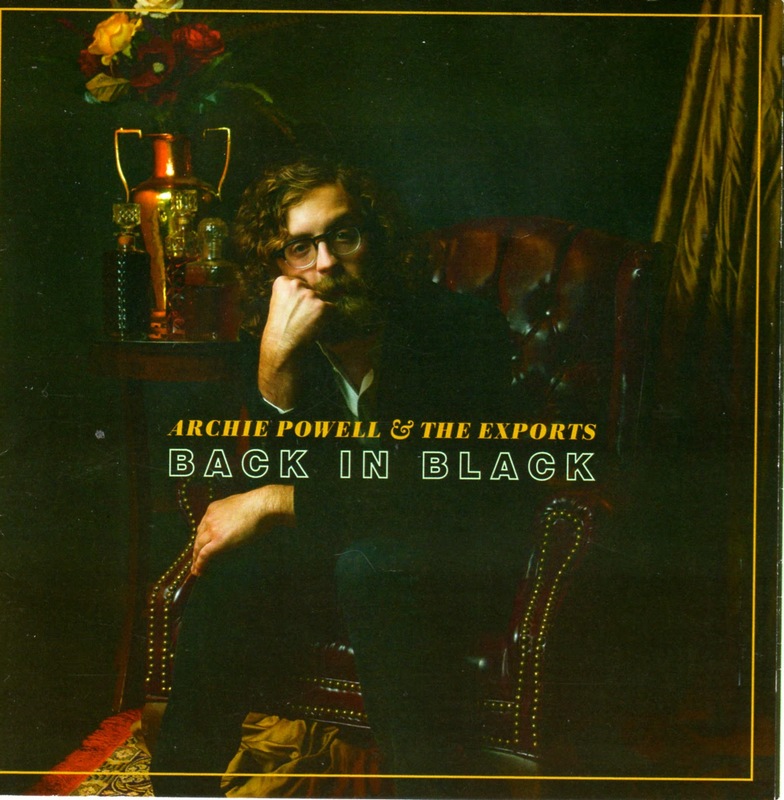 When I mentioned Archie Powell And The Exports’ upcoming CD Back In Black a few weeks ago here on BHT, I predicted it would have more power pop songs on it than the AC/DC album with the same name. After all, Archie Powell And The Exports have two previous releases, Skip Work and Great Ideas In Action, that are filled with catchy melodies and satirical lyrics. Little did I know that the group’s “desire to capture [the] sound and spirit of their high-energy live show”* would bring about such aggressive changes. This new effort uses harder arrangements and a fair amount of primal screaming to focus on the devastating effects of unrequited love. Powell, who writes just about all the songs, creates a character who’s so distraught that he’ll never touch or kiss his dream girl that he locks himself up in his room, indulges in lurid fantasies, and contemplates suicide. There are some crazy things on this CD. At times, it’s like Powell turns out the lights, puts a flashlight under his chin, and runs around screaming. “And in my mind I’m still not convinced I’ll ever be fine,” he sings on “Electrocute My Heart,” which is one of the better and less manic songs on the new CD. The stream-of-consciousness horror and (not specifically stated) depravation of “Scary Dream” is delivered via Powell’s rapid-fire delivery and the driving beat of guitars and drums. “Everything’s Fucked” also sports a rampaging arrangement, providing further proof that Archie Powell and The Exports have the chops to perform at this level of intensity. Still, Back In Black isn’t entirely a successful transition. Ultimately, Back In Black gives Archie Powell And Exports some hard-edged indie rock cred, but here’s hoping this new approach becomes part of the band’s palette rather than the dominant color. * From the official Archie Powell And The Exports press release.